2 0 1 9 T E C H G U I D E 19 EASY: $2,500 to $25,000 in <25 Days. FundMyTeam Captains do all the work 85%+ PROFIT: $0 upfront cost, same-day funds, 100% secure online, no selling. APPROVED: By schools, leagues, tourneys nationwide in 30 team sports. 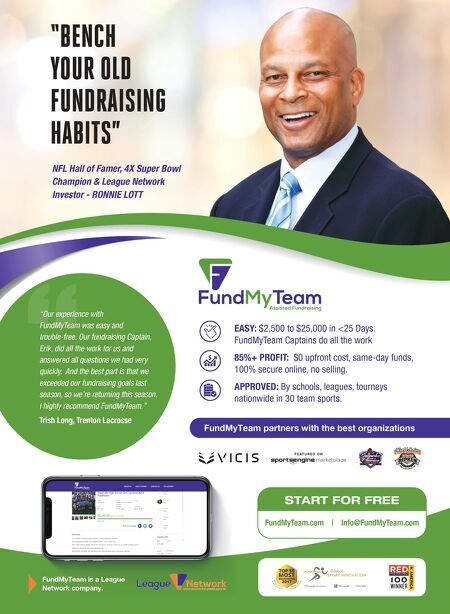 FundMyTeam partners with the best organizations FundMyTeam.com | [email protected] START FOR FREE NFL Hall of Famer, 4X Super Bowl Champion & League Network Investor - RONNIE LOTT "BENCH YOUR OLD FUNDRAISING HABITS" "Our experience with FundMyTeam was easy and trouble-free. Our fundraising Captain, Erik, did all the work for us and answered all questions we had very quickly. And the best part is that we exceeded our fundraising goals last season, so we're returning this season. I highly recommend FundMyTeam." 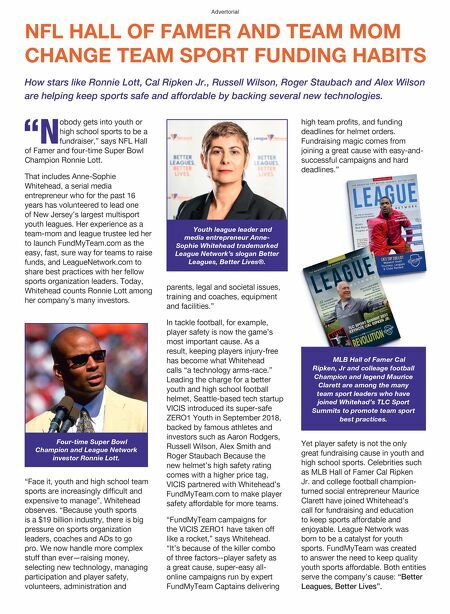 Trish Long, Trenton Lacrosse FundMyTeam is a League Network company.